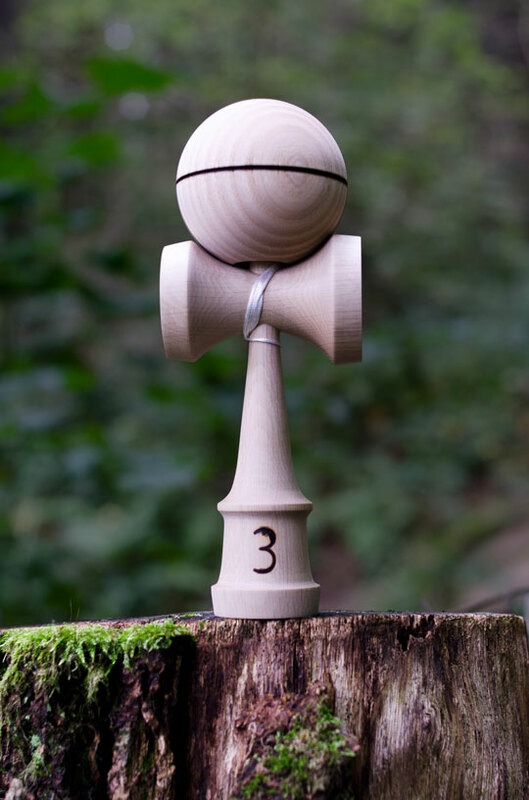 Trojka NATTY series is three kendamas. All kendamas have these thinks same in common. Each ken was handmade. Kens have slimmer sarados for better gunslingers. Both sarado and sword are made of same 30 cm long wood cylinder so they have similar weight. String hole is near to sword hole for better ken rotations. 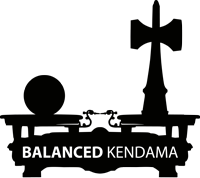 Kendamas are balanced (tama is always heavier than ken but not more than 5 g). Tamas are made of ASH wood. I burned nice fat stripe into each one. I also roughen the surface. Chosen woods are the woods I like the most. I've played at least one ken from each of chosen woods and I like it. DARK ELM - I needed some new wood for Autumn menu so when I was buying new Black Locust plank I realized that my wood dealer has this wood in store. So I took it. At the first sight it looked like the dark version of Ash to me. But on the more detailed look you sea that the grain is more complicated than Ash grain. I still have fresh memories of the prototype in mind. I did my first double whirlwinds with this ken. Weight of the ken is around 68 g. It's beautiful wood. HORNBEAM - it's a pleasure to work with this wood and also pleasure to play with it. I made one of the heaviest kens from this wood (more than 80 g). I played this ken before the ELM together with Cushion tama and it was a Lunar beast. Hornbeam is our hardest hardwood so the kens made of this wood last a long time. Unfortunately it's grain is kinda boring. Hornbeam kens are heaviest from this series (around 76 g). BLACK LOCUST - although it's dangerous and invasive plant I love it the most. All of the Black locust kens I played were topnotch. Nowadays I shred one of these (autumn 2016). It plays as good as it looks. If you don't know which ken to choose from this series go with this one. Black Locust has unforgettable grain that looks even better when broken-in. Weight of the ken is around 75 g.